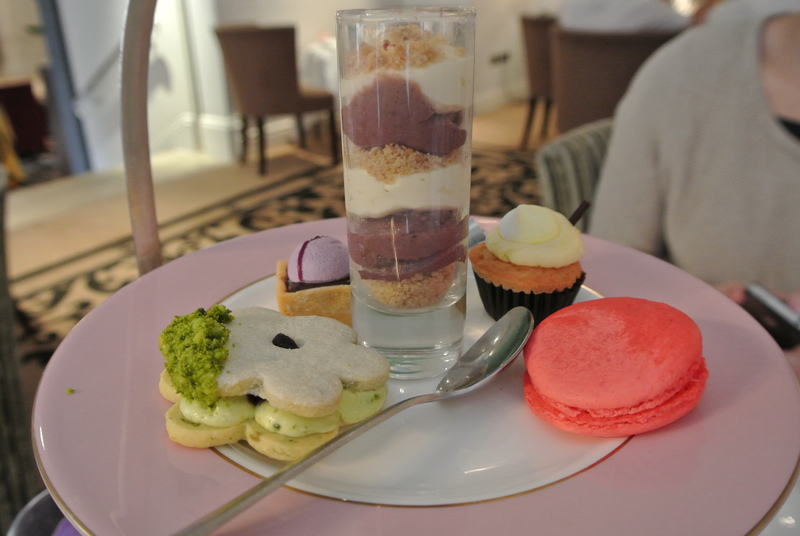 I was really lucky this time around to fit two afternoon teas in a single London visit. And lucky to have local friends that recommend places for me. My friend M recommended the Royal Horseguards so we went on a Saturday afternoon. 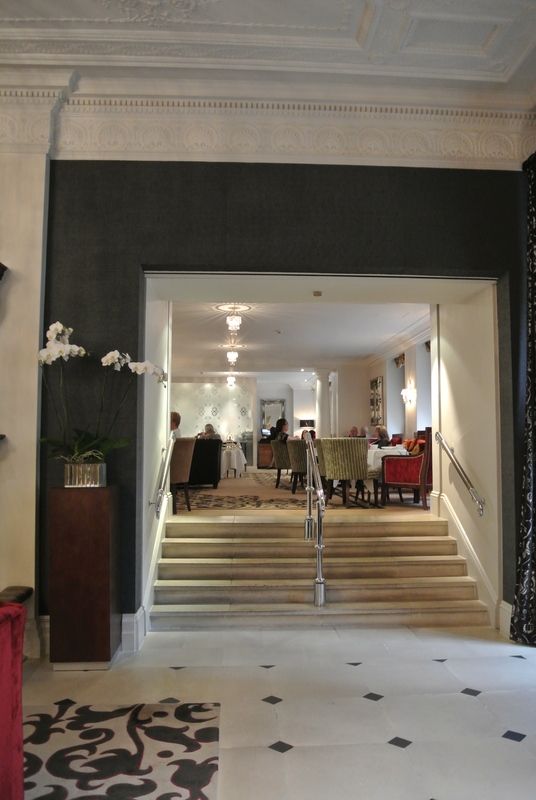 Located just down the street from the Thames river, the afternoon tea is served in the lobby (in a comfortable sectioned-off area as well as along the hallway). 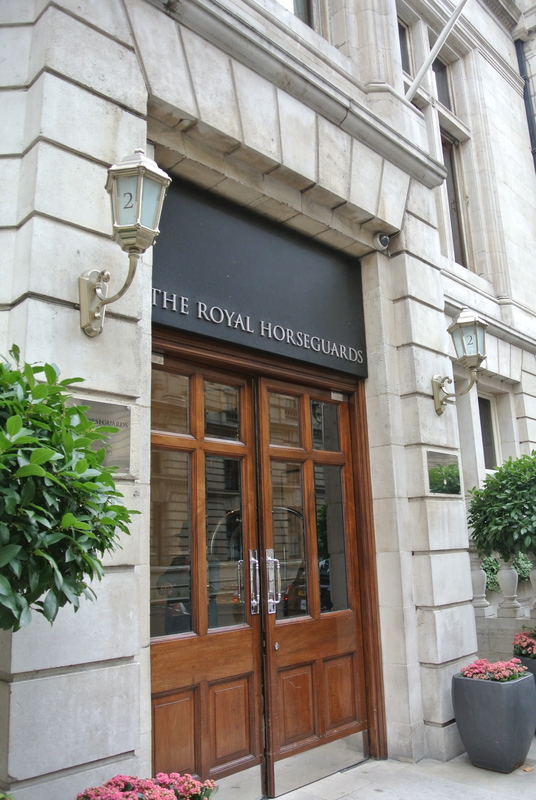 Very impressed by the service and atmosphere, I did learn that the Royal Horseguards was awarded the Tea Guild’s Award of Excellence 2013 – and deservedly so! 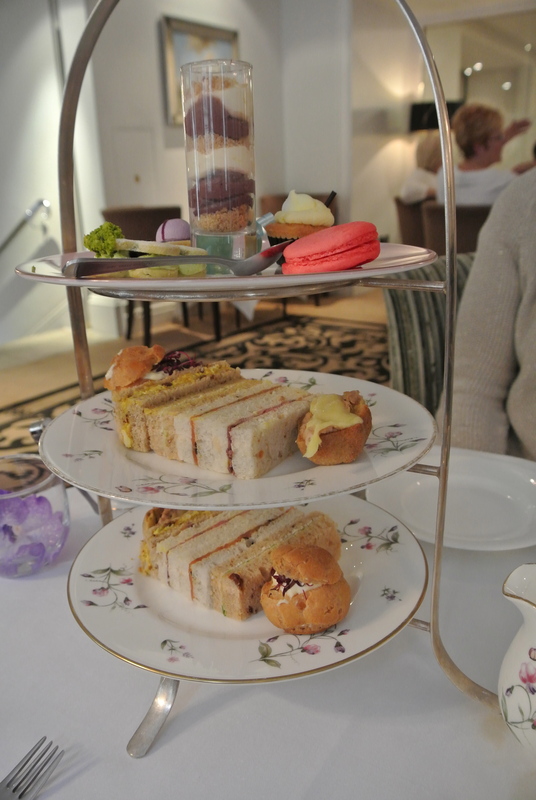 I ordered the Signature Tea which included a selection of sandwiches, cakes, pastries and scones with clotted cream and homemade preserves. 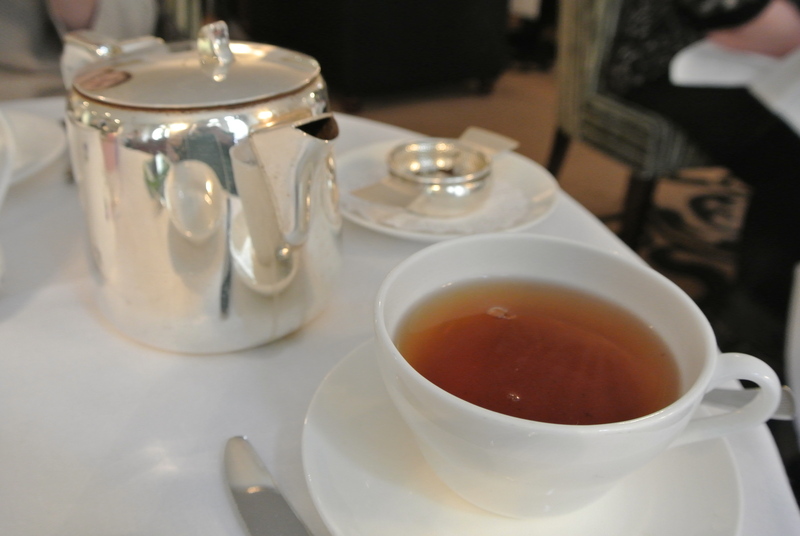 The tea of choice, the “Strawberries & Cream” blend of leaf tea. My favourite is always and continues to be the selection of sandwiches, delicious – especially the coronation chicken sandwich! Strawberries & cream tea blend. Triple tiered tray full of delicious goodies! 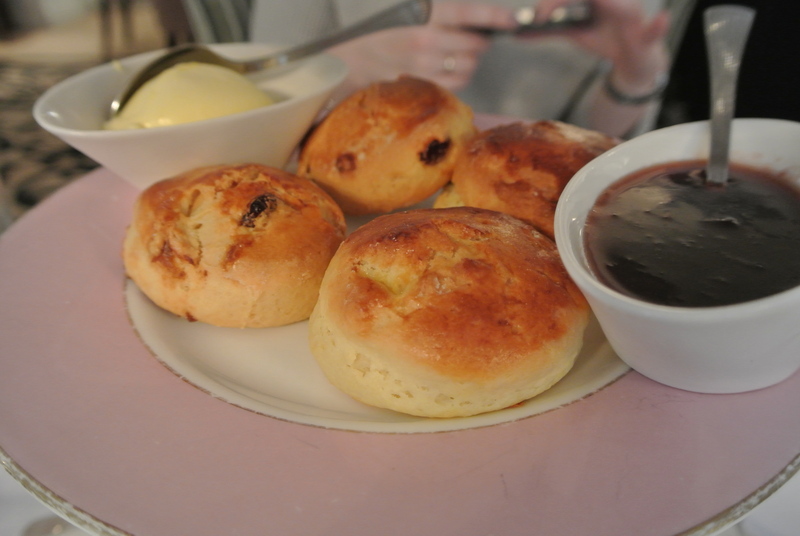 Plate full of fruit and plain scones with clotted cream and homemade preserves. 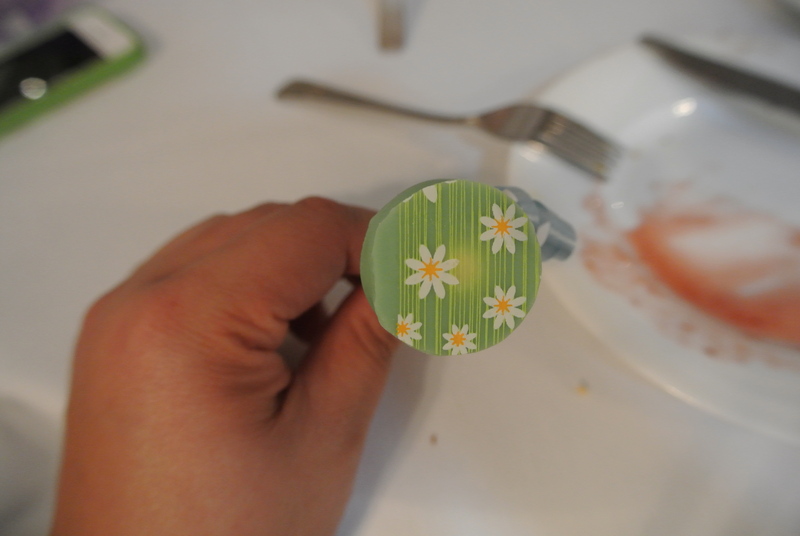 Beautiful cake pop bottom, love the small touches of detail. 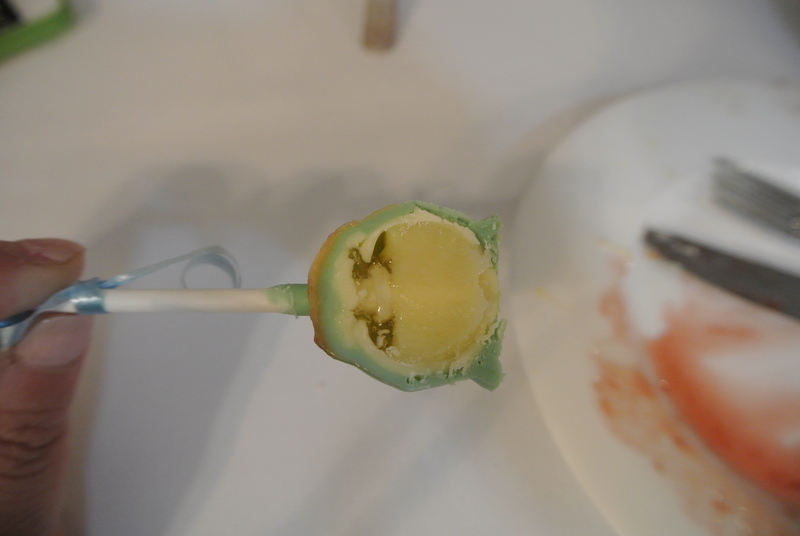 The anatomy of a cake pop. Inside the Royal Horseguards lobby.